Welcome to Royal Seals, Inc.
Royal Seals, Inc. is a privately held company headquartered in Upland, California - founded primarily to serve the technical sealing needs of the Fluid Sealing Distribution Market. We have over 75 years of combined industry experience in successfully meeting engineered challenges in the Transportation, Glazing, Solar, SemiCon, Petrochemical, Plumbing, Automotive, Electronics, and Home Appliance Industries. 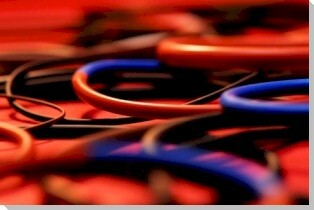 Our product line includes Precision-Spliced Vulcanized O-Rings and Extrusions, O-Rings & Cord Stock, Custom Molded Rubber & Plastic Components, along with Custom Fabricated items and assemblies. With the onset of e-commerce, we have come to realize that some consumers prefer the convenience of shopping online. Therefore, we have prepared this web site especially for you. Our goal is to provide the highest quality products, at the highest service level, on a continuous basis and work to improve our capabilities to exceed our customer’s expectations. We recognize that our greatest resources are our employees and are committed to improve the quality of their work life; along with promoting long term teamwork and loyalty towards our customers and suppliers. Our company motto, "First in Quality, First in Service” describes our dedication to Total Customer Satisfaction. To those just meeting us, we look forward to the opportunity to be of service.